When will I receive more information regarding camp? Two weeks prior to camp you will be emailed a camp handbook including information regarding what families can anticipate, materials to bring, and camp expectations for you and your child. What will be asked of me on the first day of camp? Parents/Guardians are asked to stick around once the child is dropped off for a brief first-day meeting. At this meeting teaching artists will help you and the camper become acquainted with everything there is to know about the next two weeks. Who will be teaching Porchlight Music Theatre Summer Camp? 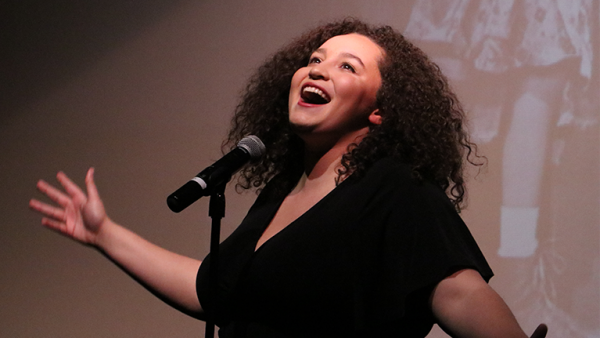 At Porchlight Music Theatre we strive to have Teaching Artists with both prominent experience teaching and with exciting credits on stage. All teachers undergo criminal background checks before teaching camp. Please see the teacher bios for more information. What will my child learn in Porchlight Music Theatre Summer Camp? 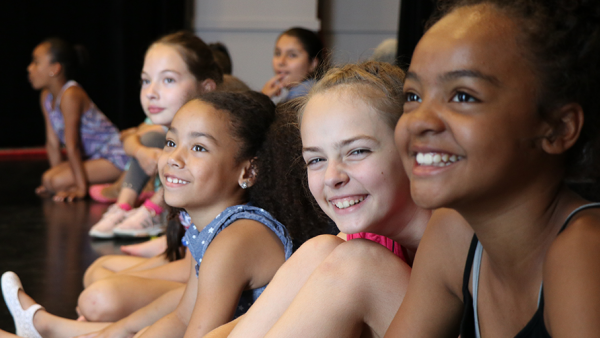 We want our campers to learn about musical theatre from the writing process to the staging process. Participants will build skills in writing, acting, singing, and moving – and will be exposed to the technical side of costumes, props, and scenic design. Throughout the session, campers’ vocabulary will grow with new terms that are used in the performing arts. Our curriculum correlates with the state and national curriculum standards for the performing arts. Students will demonstrate their developed skills in the final performance, which will include popular songs, a script written by the students, and much more! What is your drop-off and pick-up policy? When is the final performance? Each camp’s final day and show will take place on the final Friday of the two-week session. It will take place on a professional Chicago stage—The Greenhouse Theater Center (2257 N Lincoln Ave, Chicago, IL 60614) at 2:15 PM. 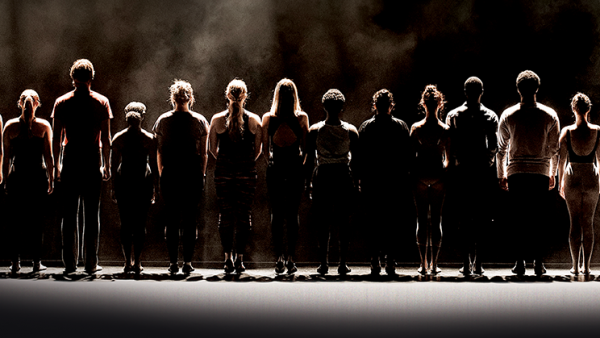 Final performances are free and can be attended by students’ family members and friends. Photography and video of the performance is allowed. Porchlight Music Theatre will also film the show and send families a digital copy upon receipt of each family’s camp evaluation. What Is the maximum number of students per camp? Camps have a maximum of 18 campers per session supervised by two teaching artists with assistance from interns. What about lunch and snack breaks? Please have students bring a lunch, closed top refillable water bottle, and snacks. Porchlight Music Theatre is a NUT-FREE zone to ensure the safety of all students. Students will take two short snack breaks toward the beginning and at the end of the camp day. They will also take an hour lunch break with free time at the nearby Chicago Park District’s Ken-Well Park (2945 N Kenosha Avenue, just behind Porchlight’s Diversey office and rehearsal studio space) if weather permits.. This time will be spent indoors in the event of inclement weather. What if my child has to miss a couple of days due to illness? Please let our Education Associate, Michelle Lauto, know ASAP about any days the student may miss. She can be reached at michelle@porchlightmusictheatre.org or by calling 773.777.9884. If possible, also let the teaching artists know. Attending each day of the camp session is important, but we understand that things come up! The teaching artists will work with your camper upon their return to help them make up the material that they missed. If you are planning to miss more than three days of camp, we suggest registering for another session for the full enjoyment and experience. We cannot prorate camp fees based on missed days. What if my child gets hurt or sick during rehearsal or camp? Please make sure all registration forms are filled out correctly, feel free to double check all information we have on the first day of camp. Although students are well-supervised and safety is always our top priority, musical theatre can be a very physical endeavor, and from time to time accidents may occur. Our staff has access to a first aid kit for minor issues. Accident reports are filled out straightaway if anything happens and parents may access these during pick up or drop off. If anything requires additional attention or your student seems too sick to continue camp, we will immediately contact the primary guardian. Our staff is not authorized to give out any medication without written consent from parents. What Is the policy for switching, cancelling or refunding a camp? No refunds are available if the purchaser drops a camp unless the spot can be filled from the waiting list. If a spot can be filled, a refund (minus a $50 administrative fee) will be given. Switching a camp session: You may switch a camp session to another if space is available. Switching camp sessions will incur a $25 administrative fee. Grace Period: There will be NO FEE charged for cancellations or class switches made prior to April 5th, 2019. What about financial aid opportunities for Summer Camp? Please email Education Associate, Michelle Lauto at michelle@porchlightmusictheatre.org for information regarding financial aid.